If you struggled to get back into work this week you could probably use another long weekend, of sorts, to help you recover. Luckily, there is plenty on this weekend for you to enjoy. The Canberra and Region Heritage Festival started on Tuesday and its program is packed with interesting events and tours to inform, and delight you about the history and cultural heritage of our town and region. And if travelling back in time is your thing, be sure to check out the Jane Austin Festival. The Spanish Film Festival is also on for the next three weeks. 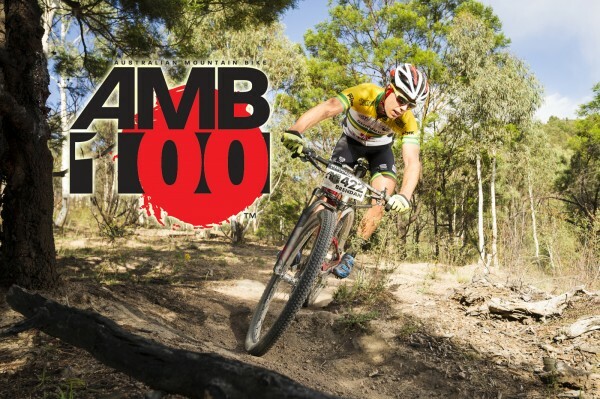 For one-off events, the Caribbean is coming to Kingston on Saturday night with the Sunwaves Indoor Street Festival, and the AMB 100 Mountain Bike Marathon is taking over Mt Stromlo on Sunday. Did you know there is World War I trench in the Jerrabombra Wetlands? It was built as a training aid when the wetlands were part of the Duntroon Estate, and it was uncovered again in 2014. Tours of this trench and many other interesting activities are part of the Canberra and Region Heritage Festival. 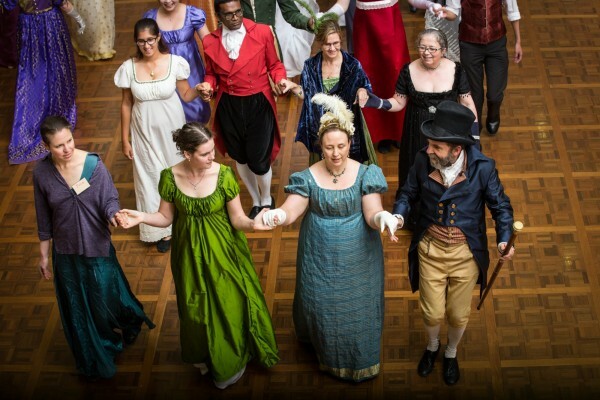 You can take a mystery tour of Old Parliament House; frock up and find your Mr Darcy at the Jane Austin Festival; visit Lanyon Homestead and the oldest house in Crace—Gungalin Homestead; and hear about what it took to bring Lake Burley Griffin to life. In recognition of the anniversary of the 1967 referendum, which finally saw Aboriginal Australians included in the census, the theme of the festival is Questions & Change, and there are many events included in the program which highlight Canberra’s Indigenous heritage. Check out the program here. The Spanish Film Festival is on for the next three weeks. Read Ariel Larkey’s preview of the festival here. Ariel’s highlights include Summer 1993, a film about childhood; The Fury of a Patient Man which won three Goyas; the thrillers The Bar, Smoke & Mirrors and Escape Plan; and the documentaries Bosch, The Garden of Dreams, Out of Darkness, Sasha and Spain in a Day. Take the kids to see Ozzy, Zip and Zap and Captain’s Island. Check out the program here. 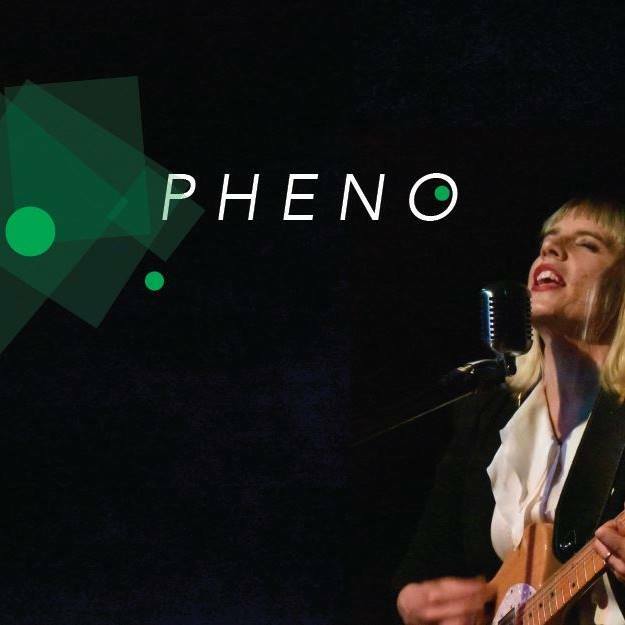 PHENO is the latest project for electric guitarist and vocalist Jess Green. Last year Jess raised money through a Pozible campaign to record PHENO’s debut EP and on Saturday she is launching the first single, Dragon Year, from that EP. As PHENO, Jess does amazing things looping phrases and beats to create intricately layered music which she then tops off with her powerful vocals. Jess calls her style Afro-Sci and it is a combination of Afrobeat, Indie rock and Jazz. Joining PHENO on Saturday will be special guest, Lucy Harrison. 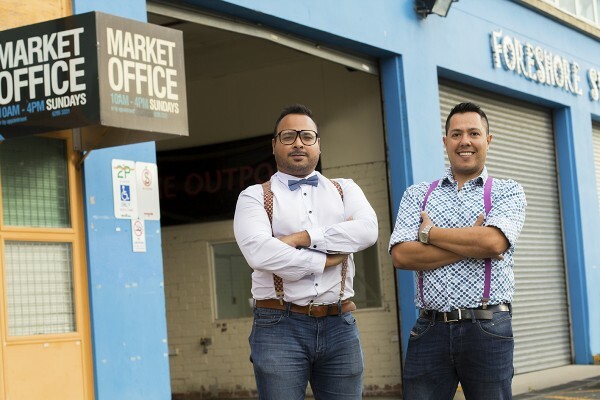 Sunwaves will be serving up beats, food, drink and performing arts in Kingston’s Old Bus Depot on Saturday night. This Caribbean inspired festival will feature Caribbean street beats fused with big bands, electro, funk, jazz and chillout music; visual art presentations including monodramas, dance performers and live shows; and local Cuban-inspired food and drinks including, of course, mojitos. Get tickets here. This race will make the most of the facilities at Stromlo Forest Park by linking together almost all of the Park’s trails to form a 30km racing circuit. This circuit will see the riders climbing up Bluegum to the top of the Park, descending down Skyline and Luge, then making tight switchback climbs, given a chance to recover at Willow’s Link before coming fast down Party Line. There are a number of events to choose from depending on how many times you want to ride this circuit. There will be a 5-lap 100mile race that starts at 5am, which will give you a chance to enjoy the sunrise, and then a 3-lap 100km mates race, a 66km race and 33km race that will all start at 8am. And a race for the kids that starts at 10am. Check out the full schedule here. Food, coffee and kids’ activities will be available for spectators; fruit, energy drinks and snacks for the riders. With ANZAC Day coming up on Tuesday, the theme for this month’s Sunday Assembly is War. Why do wars happen? Can we avoid them? How should we commemorate past wars? 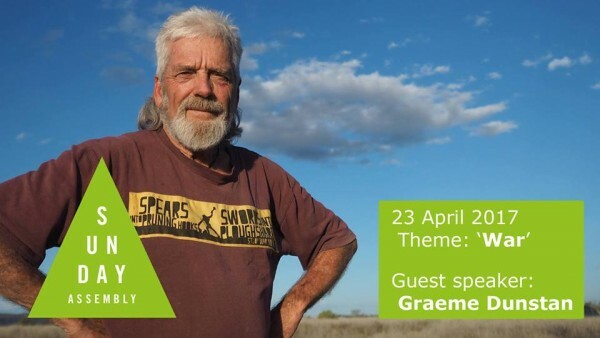 The main speaker will be the long-time peace activist, Graeme Dunstan. Each year Graeme organises a peace vigil on ANZAC Day eve. This vigil begins on the summit of Mount Ainslie at sunset, participants will then descend the hill through the darkness to arrive at the Australian War Memorial. The aim of the vigil is to lament the terrible cost of war and to cherish peace. Graeme also promotes the ANZAC Day Frontier Wars March, which seeks to have the conflicts between Indigenous Australians and mainly British settlers acknowledged by the Australian War Memorial. Graeme’s talk on Sunday will be followed by readings, singing, and tea and cake. Photo: Jane Austin Festival photo thanks to Steven Shaw.